He says that democracy is not perfect, but it "does allow a constant process of course correction", before adding that on a personal level he refuses to identify with the borders that divide humanity into political entities called nations. "But a democratic nationhood seems to be the best instrument we have right now. Better a geographical boundary than that of race, religion or ethnicity. Until we achieve the utopian world of absolute unity, which is only achievable by raising human consciousness, a nation is, fortunately or unfortunately, sacrosanct," he notes. 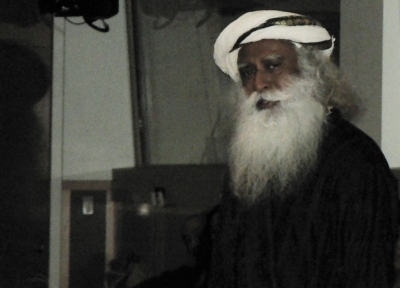 These observations appear in Sadhguru's latest book "Flowers on the Path", published by Penguin Random House India. The 61-year-old says that a republic is "a congregation of people", who have come to an agreement of their "oneness, not their sameness". He states that as a product of "mutual agreement", a democratic constitution can only "provoke debate, never a revolt". "Those who talk of overthrowing regimes in a democratic society are still feeding on the outdated romance of revolution, a hangover from a past when despots ruled with the power of sword or gun. Such an approach has no place in a society with a constitutionally elected government." However, he is quick to point out that his assertions do not mean "passive acquiescence". "Every citizen must be encouraged to think, question, challenge and express freely and fearlessly. This is our inviolable right - the basis of a lively democracy," he says. He suggests our education system must provide a mature understanding of democratic process so that citizens realise that "democracy spells the rule of institutions, not the caprice of individual whim".